(Depuis notre maison idéal pour les familles avec de jeunes enfants qui ne peuvent pas être habitués à vivre avec une piscine creusée, nous avons estimé qu'il est plus sûr de ne pas offrir une piscine dans notre maison de vacances.) Station de la Réunion est complète avec quatre restaurants sur place et des bars. Nous avons une adhésion Réunion et nous pouvons obtenir accès au parc aquatique, tennis, salle de gym, salle de jeux, spa complet, et le golf etc. Nous allons exiger des frais nominaux (dépend de combien de temps vous restez). Nous avons besoin d'un préavis d'enregistrer les clients avec le bureau de l'adhésion. Nous sommes situés à cinq minutes de Disney World. Me and my boys stayed here, and had a great time! I loved the fact that the house was in a gated community, and we always felt safe. Dr, Sheas house is very close to all the parks, and (street) 192 that has a ton of restaurants and a Super Target. The water park at the Reunion resort is amazing. My boys had a wonderful time! But like some reviews on here, the house does need some work, but that wouldn’t stop us from staying here again. Dr Shea was very helpful with any problems, and responded right away. Thanks again Dr Shea! Thank you for your kind words and great review. Thank you for your input and we are currently updating and renovating between guests. This was the second year that my family and I stayed at this house. Dr. Shea was extremely accommodating and very easy to work with. I love the fact he allows dogs! The house is really nice, but it could use a little updating/deep clean. One thing that comes to mind is the carpet upstairs. It either needs removed or an extreme deep cleaning. My socks were dirty on the bottom after walking on it. Same thing with the outside patios. We had to lay blankets down because the seat cushions were so dirty. We also took the umbrella down because it was a site for sore eyes. There were a few other minor issues but nothing earth shattering. Overall, we had a wonderful time, just wish the house was a little cleaner. Thank you for your kind words and recommendations. We are currently updating the carpet upstairs and the outside furniture. So happy you recommend exactly what we are doing. We recently stayed at this home with our children and grandchild. The home is just as beautiful, clean and comfortable as it looks in the pictures. We visited the parks almost everyday and travel time was minimal. The area is near grocery stores, restaurants and you have access to the pools and gym in the resort which is quiet and well kept. 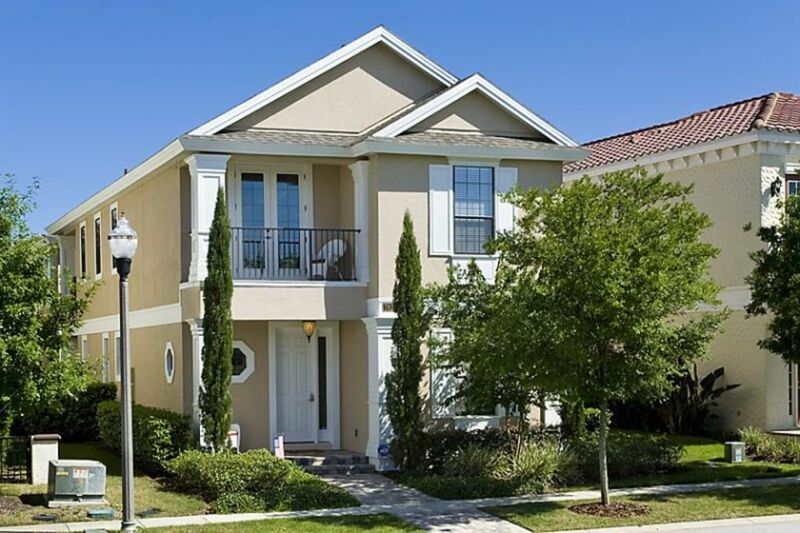 I highly recommend this home if you are visiting Orlando. Not only is it comfortable, beautiful with a good location, but the owner, Dr Shea, was very responsive and helpful with any requests. We rented the house because it was close to Disney World. We had a great time at the house. The kids loved the bunk beds and air hockey table. The rooms were clean and nice. We had a great time and will definitely rent from Dr. Thomas Shea, the next time we visit Orlando again!! Thank you for your kind words. We value you and your family’s precious vacation time. We strive to deliver a superior Vaction home experience. We are proud when our guests share in our success . Thank you for your patronage. This was definitely a favorite of the reunion resort. It was spacious enough for 3 families, toys/air hockey/dvrs to entertain kids, clean, everything in the kitchen we needed, and Dr Shea was easily accessible. Thanks Dr Shea for a great stay!! Thank you for your kind words. We value our guests and their precious vacation time. Great location. Nice house but needs some updating and deep cleaning. Minor repairs need addressed. Wonderful floor plan . les parcs à thème, parc aquatique, sur les restaurants du site, golf, tennis, salle de fitness. épicerie juste en dehors de réunion. ferme d'orchidées à proximité.